This 39mm. 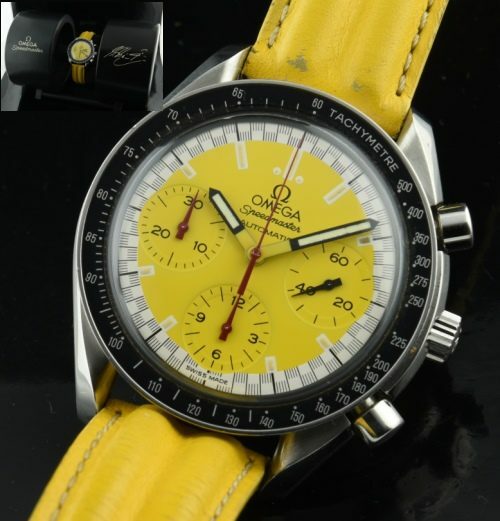 OMEGA SPEEDMASTER Michael Schumacher edition comes complete with everything from 2001. The very cool collapsing dual tire holder, cards and box are all complete. The rubber tire holder has some wear in the writing, which his tends to rub off as they sit in the box-very common. The original leather OMEGA band has some usual wear for the age-but still looks good. The original OMEGA steel buckle is present. 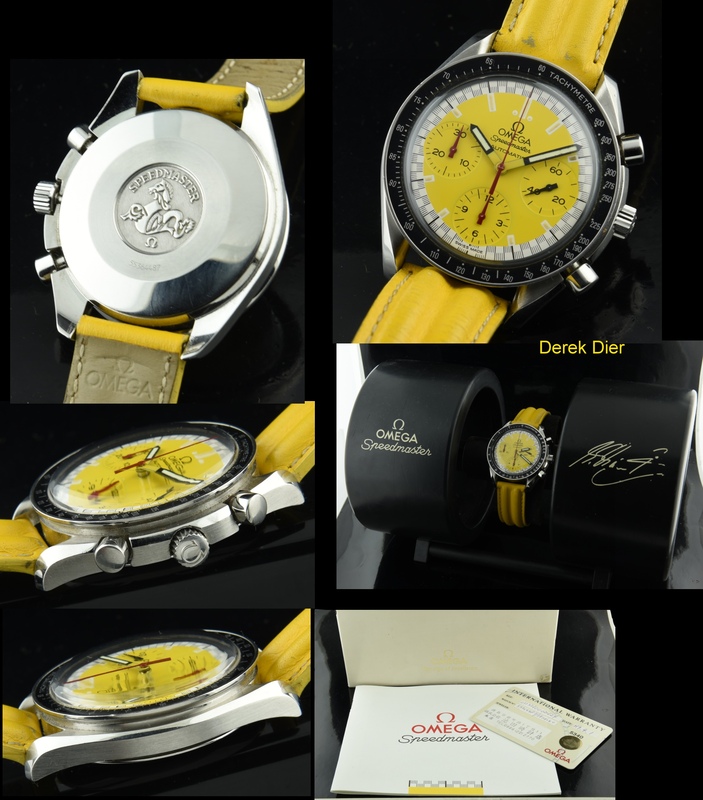 The automatic winding movement is accurate with the chronograph functioning perfectly. The entire watch looks very good and is without any flaws worth mentioning.